Mid-Life Cruising!!! 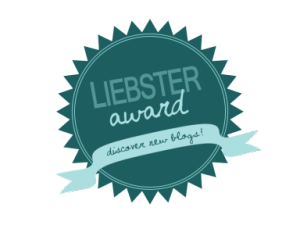 : MLC Receives Liebster Award! following". I have no idea who started this and what a Liebster is, but it's a great idea! Thanks to Tammy of s/v Dos Libras for selecting us for the award! Tammy and I have been reading each other's blogs for quite a while now, and hopefully we'll meet in person in the next few months. She and her husband, Bruce, started cruising this year from Texas and are currently sailing along the East Coast with plans to sail towards the Bahamas soon. Although fairly new to cruising, they're having a great time! *Just about the time I was finishing up this post, I received a message that I was nominated again by Melissa & Michael of Little Cunning Plan! They recently bought a bigger sailboat (47 ft) and plan on cruising in a few years. Like us, they need to sell or rent their house and get rid of a lot of stuff. Due to lack of time, I passed on answering another set of 10 questions. But, I did pick 2 of the 10 to answer. Thanks M&M! 1. What is the one thing you wish more people knew about you? Don't be afraid to brag here... this is your chance! This has gotta be the toughest question of all. Heck, I can think of a lot of things I'm not ... I'm not an artist or musician, I haven't saved a life, and I hate to cook so nothing to write about there. Just yesterday I was reading an email that I receive every year about the "Annual Redhead Fest" in Amsterdam. Since that's been on my mind (I really wanna go to Amsterdam), I'll mention that I'm a natural redhead. Us redheads are often overlooked, so I thought I'd take this opportunity to mention my hair color. Some say us redheads will eventually become extinct ... what a boring world it would be without us! On a more serious note, I'm very determined. When I have a desire to do something, I won't let fear get in my way. I figure if other people can do it, so can I! Now, I don't have the desire to do everything ... I don't really care about rock climbing or jumping out of a plane (but I won't say never), but I have learned to ride my own motorcycle and I've completed a few triathlons. My latest desire is to try cruising on our sailboat (of course). If it turns out that cruising isn't for me, at least I know I had the guts to try it. With the determination comes that fact that I've always supported myself. Yep, Ken and I pretty much live like room mates, splitting everything and paying for our own vehicles and such. Some folks my not understand this arrangement, but it's given me a greater sense of freedom and it's what will allow us to eventually retire. Ken usually makes more money, but there have actually been a few years when I made more in real estate. We both live simply and the "extra" has always gone into rentals and an IRA account. Everything that we've achieved has been through our own hard work and discipline ... no big chunks of money from other folks. There's nothing wrong with one spouse supporting the other, but I have a lot of pride in knowing I could survive on my own ... and that Ken and I made our cruising dream a reality on our own. 2. If you could have EITHER five minutes with a crystal ball OR five minutes with a Genie... which would you choose and what would you ask for? After two freaky experiences my Mom and I had with a Oujia board when I was a kid (she threw it away, and I assure you ... it was freaky), I'm staying away from predictions! I'll take the genie, and do I only get one wish? I'd ask for health and happiness for me and all of my loved ones. Health is priceless and so is happiness. If myself and all of my loved ones have both of these things, then there's no need to ask for material things or money. 3. What would you say is your partner's greatest contribution to your success (current or future) as sailors/cruisers? Ken is as driven as I am ... and just as frugal and responsible! We make a great team, as we both share the same views about life, work, and finances. It definitely makes things easier to have a spouse with the same values. We're not cruising just yet, but our dedication to "staying on track" will make it possible someday. Also, Ken's the most multi-talented person I know ... really! He's a natural in home construction, and he's often the one that folks call to fix things that nobody else can figure out. He's also good at fixing cars and motorcycles ... perfect as the role of "Captain" on our boat. His ability and skills will be a huge plus when living and sailing on our boat. 4. When will you/did you REALLY consider yourself to be a Cruiser? What does the word "Cruiser" mean to you? Although we can't call ourselves "cruisers" just yet, we know that we will in the near future. For the past few years, cruising has been our main focus. While we may not be sailing our boat now, we'd rather have unlimited time on our sailboat in the next year or two instead of sailing now on the weekends ... but never doing the things required to make it permanent. So, although not "cruisers" just yet, we've already got the mind set. To us, "cruiser" is not only a traveler on a boat, but also a person with a certain type of logic. A "cruiser" (whether full or part-time) loves adventure, is willing to take risks, and yearns to break away from mainstream society. A "cruiser" is willing to leave the comforts of traditional society behind for a new horizon every day. A "cruiser" sees life through a different set of eyes. Actually, some folks that know me may not think of describing me as a person that "loves adventure". I'm pretty quiet, and I'm a homebody. But, that's because I find the day-to-day routine pretty unsatisfying. There's so much more to life than the same old environment, with the same ole people. That's why I'm so set on cruising. I can't be stopped when on vacation ... I wanna see everything! On another note .. while we enjoy sailing, traveling is our true motivation for cruising. The reason we chose a sailboat? We can live on it, move it, and ... it's a lot cheaper than a power boat! 5. What do you think will be the thing that ends your Cruising journey? And why? Either lack of money or lack of health ... unless we get bored before either of those run out. Being frugal, we don't see ourselves allowing our bank account to run dry during our "golden" years and we do have plans for generating income. Hopefully our plans for generating income and staying healthy will work out, so the need for a change will probably be the reason we "swallow the anchor" someday. Since travel is our passion, we may someday buy an RV and explore the United States. There's a ton of areas Ken and I have never seen right here in our own country. For us, closing one chapter for another isn't "failure"... it's "continuing to grow". 6. What was it like the moment that you "decided" to go cruising? What was the catalyst? Or was it a more gradual thing that just happened? I think the turning point for us was our trip to Hawaii for our 20th wedding anniversary. While there, we saw quite a few homeless people living in paradise and that got me thinking. I didn't wanna be homeless, but the idea of living simply in a beautiful area began to creep (and stay) in my mind. After talking to Ken a few times about how I'd much rather live in a smaller place in exchange for adventure ... the discussion of living on a sailboat and traveling began. We know a few folks that live on their sailboats, but they don't travel. Until Ken told me that people actually anchored in the middle of beautiful places for free .. I'd never really thought about it! Yeah, I'd noticed sailboats anchored in the Florida waters when we'd visit, but I never stopped to think that they were staying there for the night. It's amazing how something can be right in front of you without being comprehended. Once I became aware of the concept, I was on the internet learning that tons of people are living and traveling on sailboats without breaking the bank ... and have been for a long time! I was "hooked", and told Ken that we could do this ... and the story began. In 2010 (on my birthday) we bought our first and only sailboat, and have since started learning the art of sailing while making huge life changes to make our cruising dream a reality. 7. How did your current boat get its name? Have you ever thought of changing it? When we bought our boat, it was named "Warwick". We changed it (with ceremony so we don't upset the gods) to "Nirvana". No, not after the band! "Nirvana" is a Buddhist term that means eternal bliss. It's getting past materialism and envy, and being truly happy within. Ditching everything to live on a small boat and travel sounds pretty blissful to us, so we thought "Nirvana" was a great name for our future home. About 10 years ago, I started reading and learning about Buddhism. To me, it's a way of life that we should all learn from. While not perfect, I try to live my life by many of the Buddhist teachings. 8. What size boat do you/will you cruise on? And if money were no object... would you buy a bigger one? We'll cruise on "Nirvana", which is the only sailboat we've ever owned. She's only 30 feet, but being a Catalina ... she's got more space that most 37 footers we've seen! The salon area (or den as I like to call it) is really spacious. The more boat you have the more it's gonna cost to maintain, so we'll keep this boat that we love. We do worry about storage, but we'll manage with lots of storage hammocks and organization. If money were no object (I mean seriously no object), we'd probably buy a big yacht to live on and have a captain and maintenance crew while we were at it. Why not?! If we had just a bit more money, perhaps we'd buy a little bit larger sailboat, but I doubt it would be a whole lot bigger. 9. It is often said that before you leave, everyone says they will come visit you, but most never do. Who would you MOST like to come visit you on your boat and why? I'd say that our daughter and son-in-law are at the top of our list, and I have a strong feeling that they won't disappoint. We also envision having summer visits from our grand-kids that don't exist yet. Our daughter and her family are top on the list because we want to show them a totally different way of life, and the beauty that comes with it. 10. Thinking back to before you tossed the dock lines and how you thought cruising would be, what in reality was your biggest misconception? What was your biggest surprise? What was your biggest disappointment? (If you haven't yet set sail, what do you think WILL Be your biggest adjustments? Sacrifices? Joys?) We're not cruising yet, but we're already preparing ourselves for the sacrifices of cruising. I imagine the biggest sacrifice will be the distance from our family .. no explanation needed there. I know I'll miss my long, hot showers and my long hair is going to be a lot more challenging to manage. Air conditioning and a normal refrigerator will also be missed, I'm sure. For Ken, I worry about those rainy days. Unlike me, Ken doesn't like to sit still and doesn't care to read a book so I think that will be the biggest adjustment for him. Since I've been known to eat the same thing for lunch every day for a year and I literally haven't used an ice cube in years (I pretty much drink nothing but tap water every day except for two cups of coffee in the morning and an occasional glass of wine with friends), the lack of ice and soft drinks will be another adjustment for Ken that I won't miss. We both realize that some days are gonna be really miserable, but we're trying to prepare ourselves for this and know that there will be amazing days as well. We also know that there will be tons of boat maintenance, but we're hoping it will kind of level out and not be all at one time. The cruising community and the awesome new locations and experiences with wildlife should make it all worthwhile. What is your secret fear about living/cruising on a sailboat? I guess I'd have to say getting stuck in a bad storm for hours on end while fighting exhaustion and/or drowning. Drowning has always been a fear of mine, so I'll be sure that Ken and I are harnessed in when necessary. Yep, bad weather and drowning are definitely more of a concern for me than pirates. But, we'll take precautions against them too. However, I'd probably refer to those kinda folks as "thugs and thieves" instead of pirates. I'd say a mix of both. Once we're actually cruising, I think the journey will be every bit as important as the destination. Sailing, watching dolphin, sitting under the stars while underway .... they all sound like amazing experiences. Exploration on land and meeting new people will also have its perks, just as both the land and water will also have their down sides. So now it's time for me to nominate some other blogs and ask them a few questions. When I went through my list of blogs that I've been following, I noticed that over half of them no longer exist! Blogging does take a lot of time and commitment, so I wonder if they're still cruising and just quit the blog, or quit both. I chose a few blogs that some of you may not be familiar with, and that I've really enjoyed. They're all about traveling, but not all by boat. Whether traveling by land or sea, all of these folks share the "cruiser" mindset. Traveling Twosome Barry & Emily previously owned a Catalina, but now they're traveling by land. After living in Belize for a while, they sold their condo in order to explore a bit more. They've been touring the United States, along with the dog Paisley. They generally drive to a location, rent a place, and hit the road on their bicycles. They're staying in shape and sharing some amazing scenery! Love and Rum Katy & Michael bought a 32 ft sailboat a few months ago, and they've already sailed her from Florida to Puerto Aventuras, Mexico (where we visited this summer)! Before the boat, they were living in Mexico and got married in Tulum in 2013. I just discovered this blog a couple of weeks ago, but I'm already enjoying it. Rain Dog Brian & Erika (and their little dog Scupper) live on 34 ft sailboat in Texas and will start cruising this winter, heading towards the Caribbean. I've followed Erika since she was a single liveaboard sailor, and have enjoyed reading the changes in her life. Since meeting and marrying Brian, she sold her own sailboat (and home) to follow her heart. s/v BeBe Bill & Judy Rouse from Texas have been cruising for over seven years on their 53 ft sailboat and have been in the Mediterranean, hoping to finish their circumnavigation in 2015 and then sail to the Caribbean. Their posts have shown me parts of the world that I never knew existed! Knotty Cat Tales - Hans & Laura bought their boat in 2008, moved it to Florida, became liveaboards in 2010, got married, and plan on cruising the Caribbean pretty soon. They share their boat with the cutest pit bull ever ... Wilbur! Laura's got a sense of humor that shines through her posts, and she makes me laugh every time. Kewl Change - John sold his house about a year ago and sailed his new 41 ft catamaran, s/v Freedom, across the Atlantic from Europe to the East Coast of New England. John seems to have a dry sense of humor like my husband, which I enjoy. John and his boat are for hire to charter the Cape Cod area, as well as the Bahamas and Virgin Islands! Other than leaving family, what has been the most challenging part of this lifestyle? What are your favorite things about this lifestyle? What has this lifestyle taught you about yourself and/or what have you experienced that you'd never have known as a landlubber? I hate to cook, so what's your recommendation for a "must-have" galley item that I should have on our boat and an easy dish to make? What (if anything) has caused you the most anxiety about the cruising/traveling lifestyle? Does it still? Have you ever seriously considered ditching this lifestyle sooner than later? If so, why and are you glad that you haven't? Do you feel that your health has improved since leaving the landlubber life? If so, how? What do you see in the future for cruisers and liveaboards regarding its population, costs, regulations, and crime? What part of the boat has caused you the most headaches/repairs? What has made life aboard easier? Whew ... I hope you're still with me! That was a long post, but it was fun. I look forward to reading the above blogs and their answers. very much enjoyed this one... I have known you for many years and learned tons about you that I did not know!! I love you guys and hope all your dreams come true on this new adventure!!! Plus, I want you to come visit me her in Panama!! !